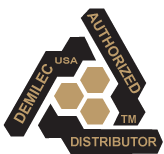 We are the exclusive Irish importer and main distributor and installation contractor for superior eco-friendly polyurethane spray foam insulation products manufactured by DEMILEC (USA) LLC. Our Spray foam insulation products have the best heat retention capabilities of any insulation product on the Irish or UK market today. Buildings which use our superior environmentally-friendly spray foam products are vastly more energy efficient, saving the owners 40% -�60% on home heating bills. From January 2009 the Building Energy Rating directive (BER) is in effect. This outlines that any person wishing to sell or rent out a property or to build a new property must meet certain energy requirements. This directive (for both new homes and for older homes) will ensure that home owners and property developers are doing the best they can to build energy efficient buildings. This is where we come into the equation as our products, which cost less and are vastly superior to those of our competitors, are energy rated to the highest degree (exceeding BER requirements) while also saving up to 60% on your heating bills. In addition to the benefits of properly insulating your property, there is also the environmental benefit with CO2 emissions being considerably reduced. Heatlok Soy and Sealection 500 are not affected by time degradation or moisture, will not settle over time, and protect against mould growth, rodents and insects.